1. Add from your computer. Click the paperclip icon and then select a file from your computer. Drag a file from anywhere on your computer and drop it onto the page where the text editor is open. The file will appear where your cursor is, so be sure the cursor is in the place where you want the file. You can delete a file from your post by clicking on it, then selecting the trash bin. Files added as attachments in other project tools can't be found in the Docs & Files section -- they'll only live right where you attached them. If you're looking for a file attached to a message, say, use the Find feature. First, go to the Project and click the Docs & Files option. Then, click the green New button. You can select files from your computer, or drag and drop them. 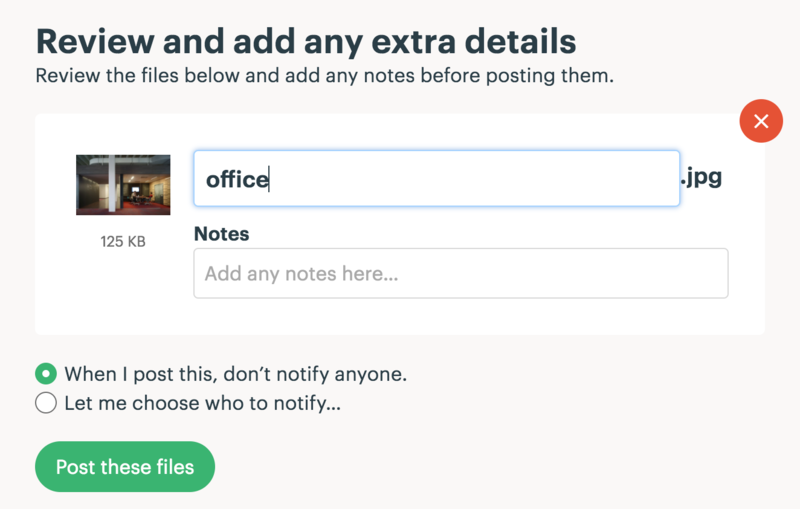 After you've added the files, you can change their file name, add extra notes or notify users on the team or project. To delete a file attached to an item, click ... and Put in the trash. 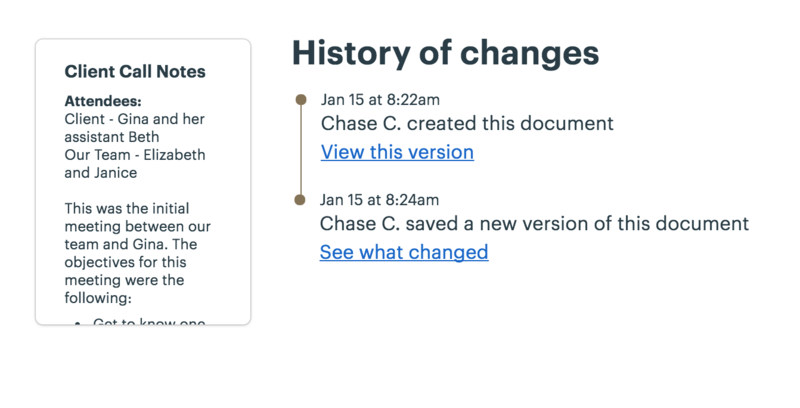 If you made changes to a file and need to add a new version, no worries! Go to the file in the project, and click to Replace with a new version. Need to delete a file or restore a deleted file? Here's how! Searching for a specific file? Try this! 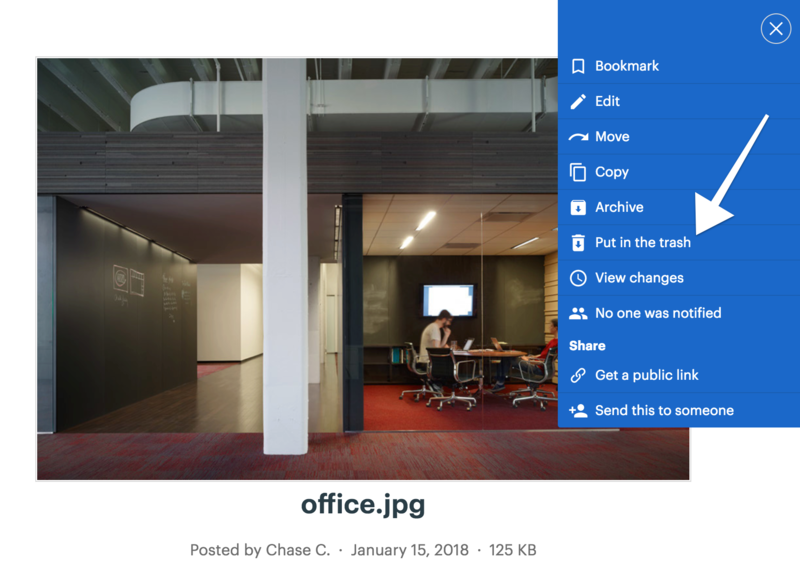 Using Google Docs, Dropbox, Box, or OneDrive to collaborate with your team? 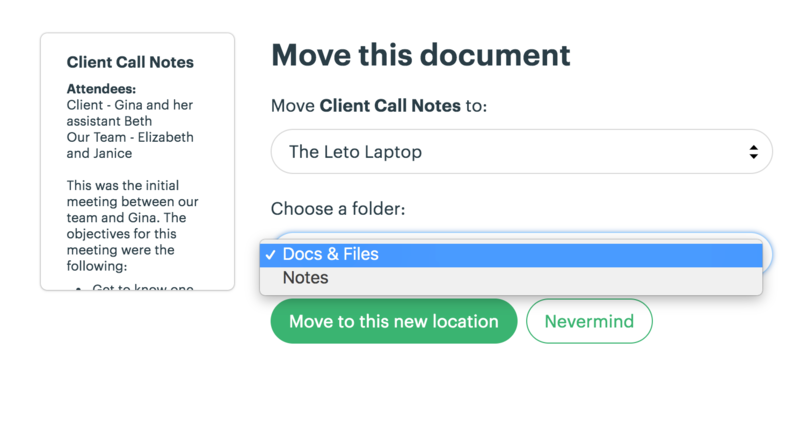 Link your files in Basecamp! Head to your Docs & Files section in your Project, click on the green New... button, then click the option you need from the list of Cloud File services. Add a title, and paste the link to your file. Add a note for more detail, and click on the post button. To view a linked cloud file, click the View on... link. Your Google (or other) account will pop open. You'll need to have permissions to view the document or file. If you don't, you can request permission from the creator. Need a place to take notes during a meeting? Use a text doc. 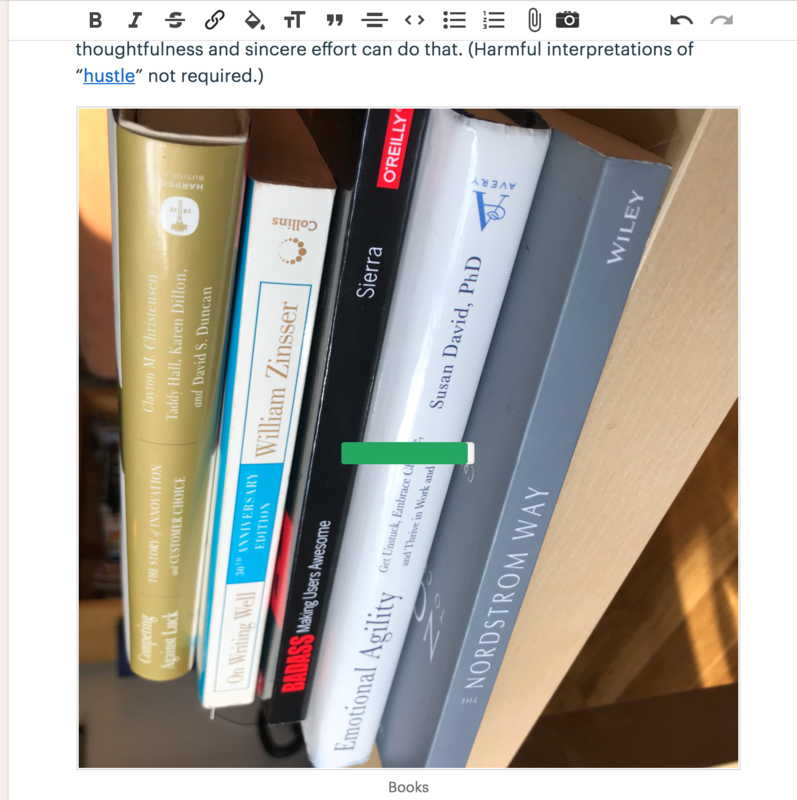 Want to add reference material that others on the project need? Use a text doc. 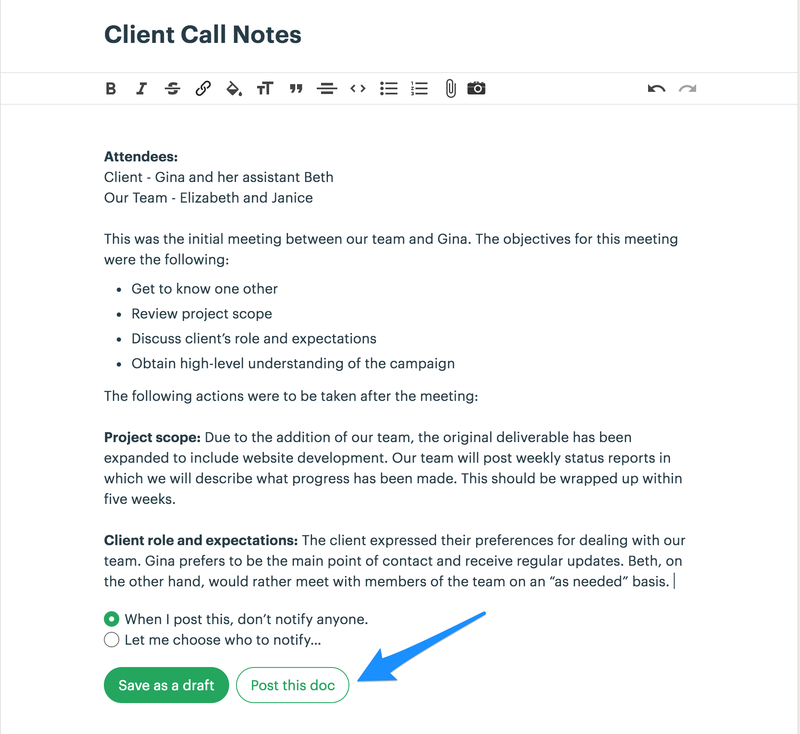 When you're ready to set up a text doc, click the green New button. Then, click to Start a new doc. 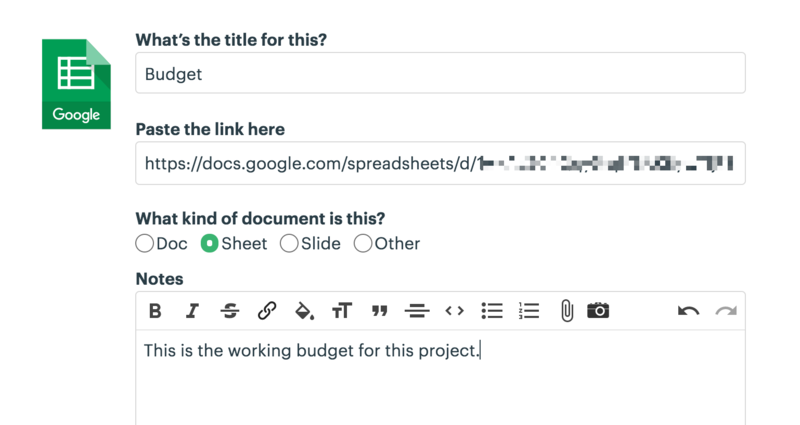 Give it a title, add your text, and then use the buttons below the post to either Save as a draft or Post your document to the project. You can also choose who should be notified about your post. 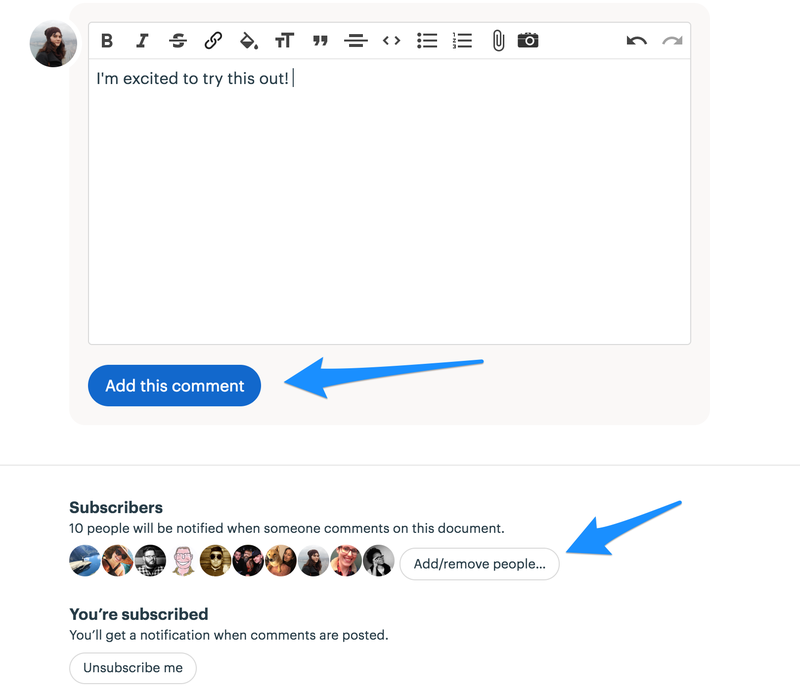 After you post it, you can add comments and notify other users. Don't forget to check out the Tool Bar to format your text! Ever need to review or restore past versions of a Basecamp document? If you want to take a look at the changes a document has gone through, just click View change log from the ... menu. You'll see an updated view of all the changes that have happened to the document. Wanna ditch the changes and go back to the way it was before? No problem, just open up the last good version and click the button to "Make this the current version." 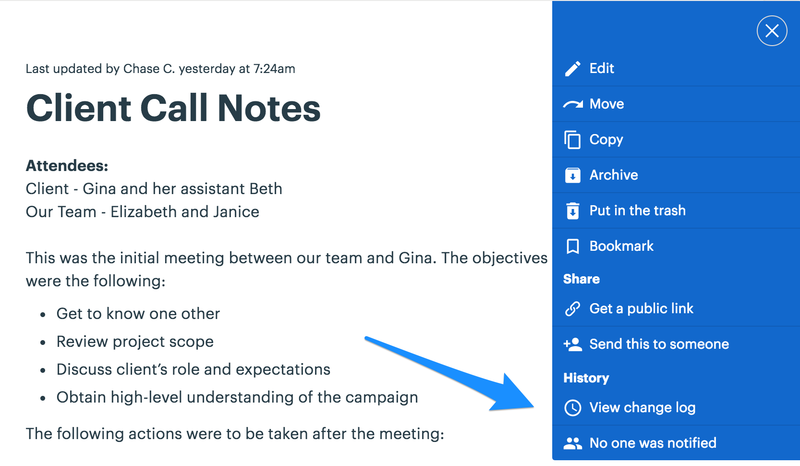 Folders let you group stuff together in a way that makes sense for you and your team! To create a new folder, click the green New button and then click to make a new folder. 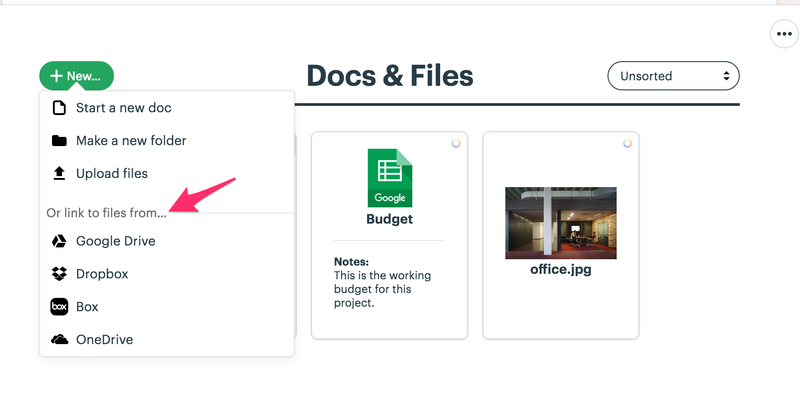 You can also move or copy docs and files into other projects. Read more about that here. First go to the folder you'd like to download. Click on the ... menu in the top-right. In that menu you’ll find an option to Download this folder, click on that. Note: Depending on the size of the folder, it can take up to a minute or so to gather up the contents of the folder. Just hang tight — your download will start automatically as soon as it’s ready.